AnUnmanned Aerial Vehicle (UAV), commonly known as a drone, is an aircraft without a human pilot aboard. Drones range from high level, complex systems, typically belonging to the military context, to low-end commercial devices available on the retail market with prices that vary from few hundred to few thousand dollars. The success of commercial drones can be explained by the range of applications they can be used in. These applications include goods delivery (both B2B and B2C), patrolling, providing support in civil emergencies (e.g. fire detection, emergency communication rely nodes), and movie making, just to name a few. Given the novelty of this technology, all the experts agree that the applications to come are countless. 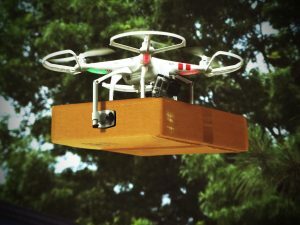 However, drone technology, being cheap (high end commercial drones barely reach the 5K $), easy to use (half a day of self-instruction can bring any user to an expert level), and widely available (they are on sale in any supermarket or toy store) do represent the typical dual-use technology that could be exploited for malicious actions. 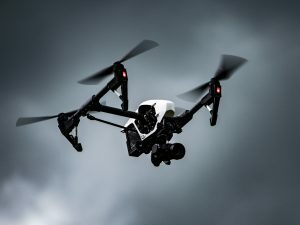 Understanding drone technology, its possible abuse, and devising countermeasures to those abuses is of paramount importance for the protection of Qatar’s Critical Infrastructure (CI) and worldwide sensitive targets. For these reasons, at the Cybersecurity lab we investigate commercial drone technology in order to be able to devise countermeasures to the threat that drones represent to CI. The research group is currently involved in an internal funded project, namely De-Droned, tackling these threats in an innovative perspective. The cybersecurity lab is also equipped with a variety of hardware devices used for real experimentation and testing of devised algorithms and solutions.